On this page you will find current offers and announcements. 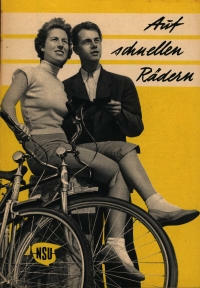 This year we extended our program with color posters and color folder reproductions. 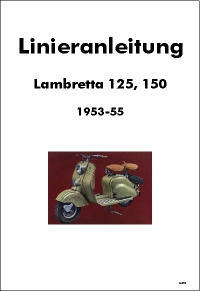 Presently we supply about 200 color posters and folders. 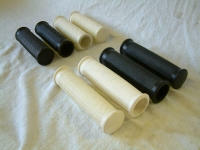 In the future you will be able to view them in our shop and order them online . 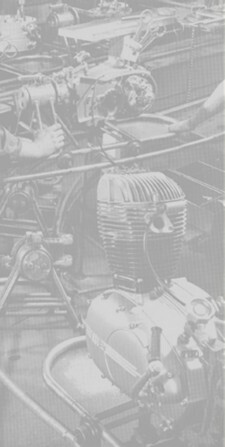 Handlebar, complete for pre-world war II models. 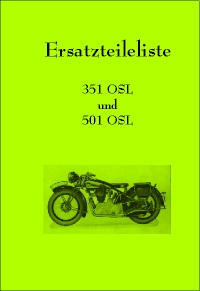 501 OSL, 601 OSL Serie I now available as reproduction. 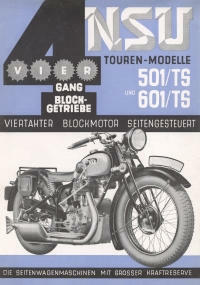 Lining instructions for many NSU models. 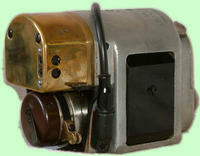 Our lining instructions give details on the position, width, and color of decorative lines on the vehicle in question. 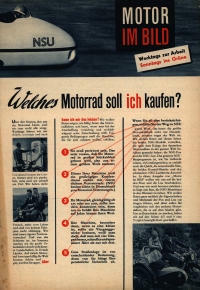 All instructions include photos (many in color) or skerches of those sections of the vehicle that have decorative lines. All instructions include hints and tips on how to apply the lines yourself. 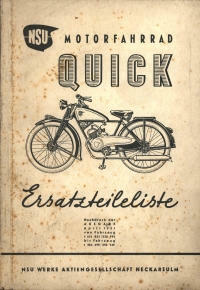 Original-Pre World war II folders for many models. 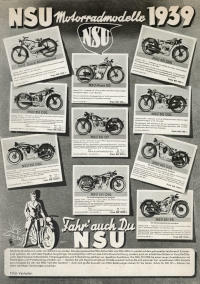 Exchange crankshafts for almost all NSU motorcycles and scooters. 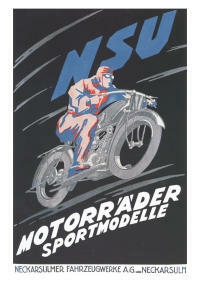 For NSU Quick and Quickly new crankshafts available! 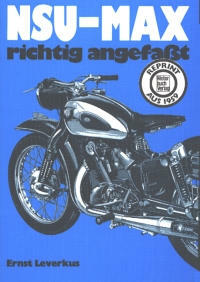 and many other models of widely varying manufacturers such as TRIUMPH and DKW. 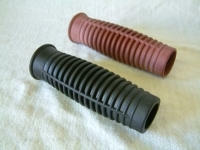 and many models of other manufacturers. 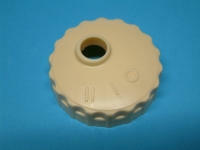 and many models of other manufacturers like Imme. 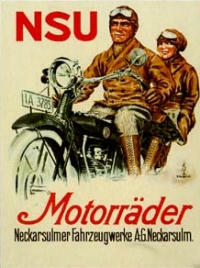 and many 1930's pillion saddles and saddles for many models of other manufacturers. 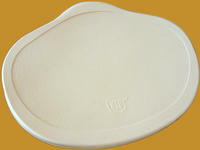 Top-quality, sun-resistant rubber formula: no cracking or splitting, even after years of use. Top-quality reprint, firmly bound (glued and stapled). 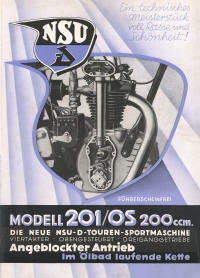 Reprints are available for almost all NSU models after 1901. Also see references under NEWS . 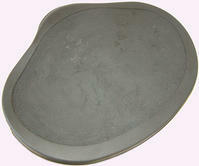 Footrest-rubber 201, 251 OSL, 351 OT, 351, 501, 601 OSL. 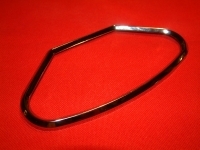 Available in black for NSU 201, 251 R, 251 T, 251 SP, 301 T, 501 T, 501 SP, 501/601 TS. 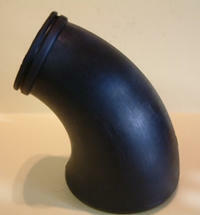 Also available with greater inner diameter for gas throttles. Available in burgundy or other colors. Good condition. 4 p. DIN A 5. 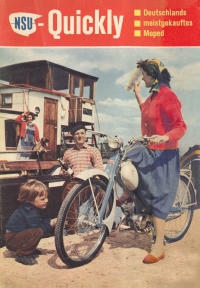 1951 model. Good condition. 84 p. DIN A 5. 6 pages DIN A 5.